Using the technology, Dr. Kang Zhang, chief of ophthalmic genetics at the University of California, San Diego, has built systems that can analyze eye scans for hemorrhages, lesions and other signs of diabetic blindness. Ideally, such systems would serve as a first line of defense, screening patients and pinpointing those who need further attention. Now Dr. Zhang and his colleagues have created a system that can diagnose an even wider range of conditions by recognizing patterns in text, not just in medical images. This may augment what doctors can do on their own, he said. “In some situations, physicians cannot consider all the possibilities,” he said. “This system can spot-check and make sure the physician didn’t miss anything.” The experimental system analyzed the electronic medical records of nearly 600,000 patients at the Guangzhou Women and Children’s Medical Center in southern China, learning to associate common medical conditions with specific patient information gathered by doctors, nurses and other technicians. In the next two years, CIOs will be tasked with changing company culture, adopting the title of chief HR officers (CHROs), according to a Gartner report released on Monday. Setting the values and cultural missions of an organization typically falls on the HR representative, but partnering IT and HR together may help uncover more efficient strategies for completing the same goals, the report noted. The union of IT and HR can help create business processes that align with the desired company culture, the report said. However, cultural change won't be achieved quickly or easily, so companies should start small, said Elise Olding, research vice president at Gartner, in a press release. In the next two years, 80% of midsize to large companies will shift their culture in a way that propels their digital transformation efforts, the report found. 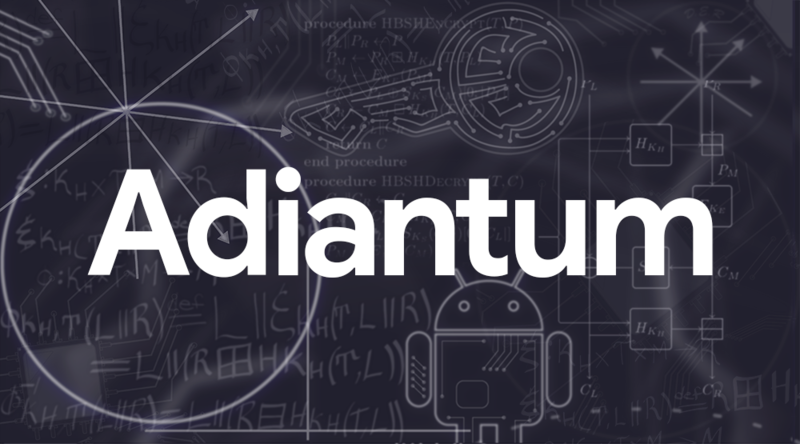 Most new Android devices have hardware support for AES via the ARMv8 Cryptography Extensions. However, Android runs on a wide range of devices. This includes not just the latest flagship and mid-range phones, but also entry-level Android Go phones sold primarily in developing countries, along with smart watches and TVs. In order to offer low cost options, device manufacturers sometimes use low-end processors such as the ARM Cortex-A7, which does not have hardware support for AES. On these devices, AES is so slow that it would result in a poor user experience; apps would take much longer to launch, and the device would generally feel much slower. So while storage encryption has been required for most devices since Android 6.0 in 2015, devices with poor AES performance (50 MiB/s and below) are exempt. We've been working to change this because we believe that encryption is for everyone. First, you really need to have a use for them. For example, building systems that are installed in cars and motorcycles that converse with people using voice interaction because the people are driving is a great use case. But generally, talking to a chatbot instead of using a keyboard and screen, which is typically how we interact with applications, is not as productive as you might think. While it makes us feel very advanced, productivity may be tossed out the window. Second, chatbots don’t always get things right. I would hesitate to tie some vital function such as braking to a chatbot. I’d live in fear that it would brake at the wrong time if I said something it misinterpreted, such as, “I need a break.” Third, chatbots are costly to build and deploy, so they increase the budget for most application development projects. Bottom line: If chatbots aren’t really needed, do not use them. Today, 3GPP specifies which technologies constitute 5G Wireless and, by exclusion, which do not. 5G is an effort to create a sustainable industry around the wireless consumption of data for all the world's telcos. One key goal of 5G is to dramatically improve quality of service, and extend that quality over a broader geographic area, in order for the wireless industry to remain competitive against the onset of gigabit fiber service coupled with Wi-Fi. The 5G transition plan, once complete, would constitute an overhaul of communications infrastructure unlike any other in history. Imagine if, at the close of the 19th century, the telegraph industry had come together in a joint decision to implement a staged transition to fax. That's essentially the scale of the shift from 4G to 5G. The real reason for this shift is not so much to get faster as to make the wireless industry sustainable over the long term, as the 4G transmission scheme is approaching unsustainability faster than the industry experts predicted. The primary problem identified by CIOs is in the gap between where the position reports to and how it is being utilized in the company. Essentially, most CIOs are not a priority in the company because the majority still do not report to the CEO. As a result, CIOs are stretched quite thin because they are getting pulled in many different areas without alignment to the CEO. This prevents them from being able to focus on a particular aspect of the business and manage it effectively. It also prevents CIOs from being able to develop and drive an effective long-term strategy for the company, since their attention is so divided. 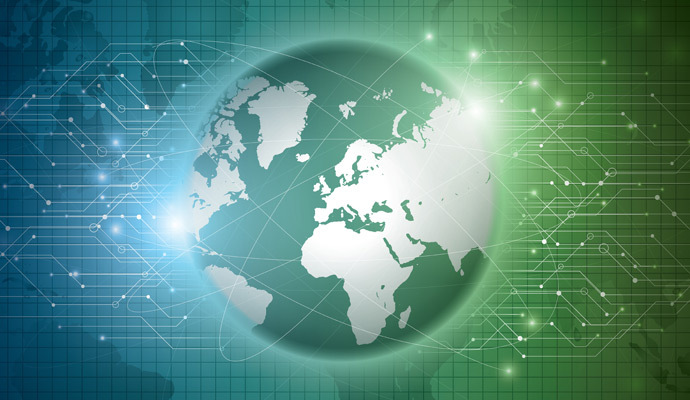 Many CIOs feel they are not being included in the important strategic discussions. When they are involved in these discussions, they are not the kind of conversations that CIOs can use to drive long-term strategy. Instead, they focus on short-term goals or financial planning without addressing major strategic issues that should be addressed before short-term solutions can be implemented. Although data security is always a major concern, AI algorithms add a new level of complexity. The more granular the data that is fed to an AI algorithm, the better the algorithm is at personalizing a given experience for the user. And consumers typically appreciate it when companies can provide personalized experiences tailored to their needs. However, in the process, users’ privacy or the confidentiality of their data might be compromised, leading to conscious trade-offs being required in security policies. Another major concern with respect to AI algorithms is the potential for these algorithms to institutionalize bias. Machine learning algorithms use historical data to detect patterns and make inferences. Thus using historical data, even if it is factual, can lead to biased outcomes. ... Some countries have started exploring a series of trade-offs that AI presents in an attempt to address them in their policy documents, acknowledging that all of society — businesses, individual consumers, and academics alike — plays a role in how these issues are managed. Shifting security to the left as much as you can is a great start to take security seriously. To begin with, it’s a security mindset and the understanding that security is everybody’s job, as Tanya Janca says. Embracing security concerns as part of your design and code-review processes, and then continuing to integrate a good set of processes and tooling that supports it within your everyday development workflows. Some examples are adopting static code analysis plugins as part of your build process, or scanning your project for vulnerabilities in open source dependencies, which Snyk does best due to its comprehensive vulnerabilities database as well as it’s pro-active approach of not only reporting vulnerabilities but also automatically opening Pull-Requests with the minimal semver change required to upgrade a dependency. Rip and replace is a bad idea here because BI and analytics products still provide a lot of value. More importantly, augmented analytics requires users to be data literate. Instead of planning a wholesale shift, leverage what’s in place while experimenting with augmented analytics so you can better understand the differences and how your analytics strategy should unfold over time. 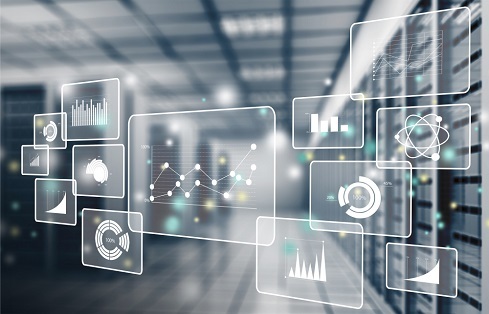 “Companies will need to start looking very carefully at the vendors’ roadmaps [whose products] they already use to see where they are with respect to incorporating or adding or innovating with augmented analytics,” said Sallam. “Particularly early adopters will take a look at new, innovative vendors and bring them in alongside of their existing investments to see how they can enhance their analytic activities.” Be sure to include analysts and data scientists in the validation process because they’re in a better position to know what questions should be raised and what tests should be used to validate the product. 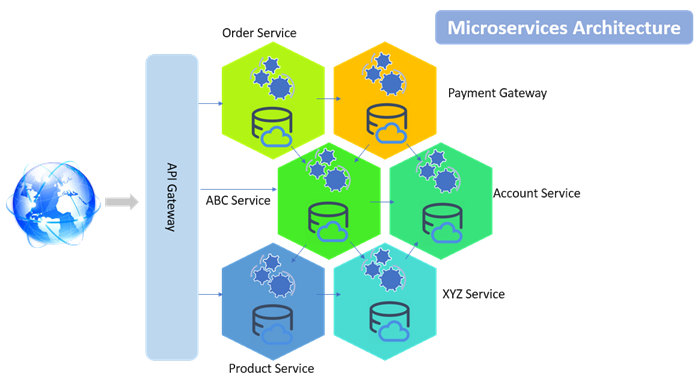 The term microservices portrays a software development style that has grown from contemporary trends to set up practices that are meant to increase the speed and efficiency of developing and managing software solutions at scale. Microservices is more about applying a certain number of principles and architectural patterns than it is about architecture. Each microservice lives independently, but on the other hand, also all rely on each other. All microservices in a project get deployed in production at their own pace, on-premise, on the cloud, independently, living side by side. This section will demonstrate how to create a Product microservice using ASP.NET Core step by step with the help of pictures. The service will be built using ASP.NET Core 2.1 and Visual Studio 2017. ASP.NET Core comes integrated with VS 2017. This service will have its own dbcontext and database with an isolated repository so that the service can be deployed independently.